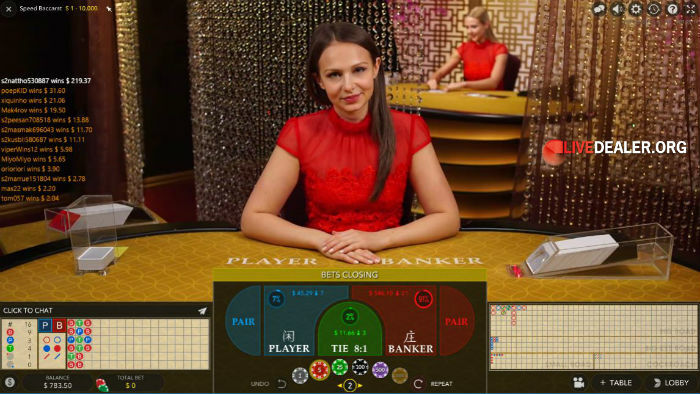 Are you a live baccarat baccarat player sick of multiple camera angles, close-ups, dealer controlled card squeezes, player controlled card squeezes and a generally slow deal due to all the above? Evolution’s latest live baccarat table is for you then. One camera. No squeezing. Just a nice fast deal. They call it speed baccarat. Speed Baccarat debuted early January and is already available at a wide range of Evolution Gaming powered live casinos. How fast is the deal? See for yourself in the below video. Hello, I am looking for a list of the ONLINE CASINOS with EVOLUTION GAMING LIVE SPEED BACCARAT. I hope some of you can help me with that list. Thank you very much for the link LD.